Taking Delta To Hawaii? Beware of Cancellations! Delta Airlines is one of the major airlines in and out of Hawaii (and especially for connections on the U.S. mainland and beyond). But, ever since a global computer outage forced the airline to cancel and/or delay thousands of flights, getting where you need to be became a whole lot harder. And, in some cases, impossible. Here’s an update on the impact of the computer failure on Hawaii and other destinations, so you can get where you’re going — even if it’s on another air carrier. According to the Honolulu Star Advertiser, hundreds more flights were cancelled and delayed today on day two of the computer outage. And, by late morning, nearly 400 Delta flights were cancelled and more than 700 were delayed, according to FlightStats, Inc. Think that’s bad? The newspaper reports that, on Monday, the airline announced 1,000 cancelations and 2,800 delayed flights. This, after a power outage at Delta’s Atlanta headquarters tripped a meltdown of its booking, communications and other systems. A computer outage led to the thousands of flight cancellations and delays. The airline was back online after a few hours Monday, but the outages were so widespread that it was still dealing with the ripple effects a day later, the paper reports. 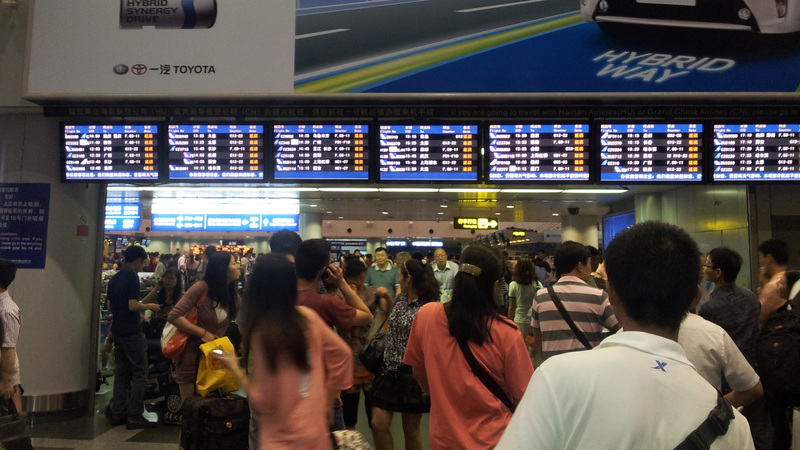 For Hawaii-bound passengers coming from Japan, the impact could be great. According to the paper, more than 1,000 people spent the night at Narita Airport outside Tokyo because of the shutdown. While flights resumed in the morning, Delta spokeswoman Hiroko Okada said more delays were expected. Delta spokesman Trebor Banstetter told the Honolulu Advertiser that after the power outage, key systems and network equipment did not switch over to backups. The investigation of the outage is ongoing, but Banstetter said that there is no indication that the problems were caused by a hack or intentional breach of the system. What is Delta doing to help consumers? If your Delta to Hawaii flight was canceled or delayed at least three hours, you may be eligible for a refund or 200 in travel vouchers. But, that doesn’t much help folks who need to get from Point A to Point B. Today, Delta says it will continue to find seats for the tens of thousands of passengers whose flights were canceled. But, as more airlines put more people in each plane, so finding a new seat for the waylaid becomes more difficult. 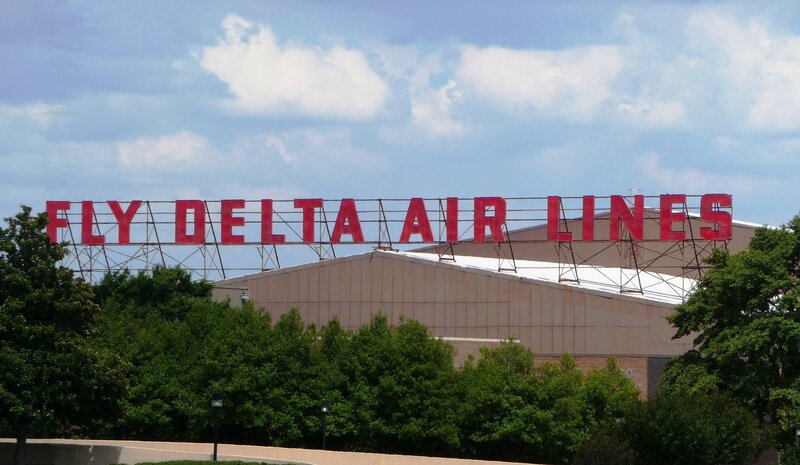 A sign outside Hartsfield International Airport in Atlanta, Georgia, where Delta Airlines has a hub. If you suspect your Delta to Hawaii flight might be cancelled or delayed, make sure you call the airline to find out your flight status. According to the Honolulu Star Advertiser, seems many passengers only found out about the mess once they got to the airport. And, you DON’T want to be in that crowd! If you’re here in Hawaii, and your flight is cancelled or delayed leaving for home, check out our Hawaii Aloha Travel Blog piece about things to do if you’re stuck in Hawaii due to airline troubles. Hawaii activities include parasailing, snorkeling, and surfing, among a myriad of other ways to spend an extra day or so in paradise. The sheer number of cancellations and delays on Delta Airlines is enough to frustrate even the most seasoned affected traveler. But, there is some good news: If the problem means more time in Hawaii, it’s just more time to enjoy paradise! UPDATE on 8/10/16: Today, about 150 Delta flights have been cancelled.